It is important for the Bride to sit down to the Marriage Supper at the time the Bridegroom is present — that is, at the pre-arranged day and time as ordained in Scripture. But as we have seen in The Marriage Supper of the Lamb, this pre-arranged day and time of Passover is hidden within Scripture, and must be sought out diligently. And so in order to see when the Passover Supper is to occur, we will look first at Yahushua’s Words, and then look at His example of keeping Passover. In the above passages, we see that Yahushua said, “I will keep/I shall eat the Passover with my Disciples” at the house/guestchamber. His Words are clear, and easy to understand. As His Disciples, we receive Yahushua’s Words as ‘little children,’ and as Truth. We know Yahushua did not lie to us — and so we now understand just what it says — that Yahushua ate the Passover meal with His Disciples. We have seen Messiah’s Words. Let us now look at His example. In each of the above passages it is clear that Messiah is eating the Passover meal in accordance with His earlier Words. In each of the above passages, we see in context that He sat down and ate the meal as foretold. We also see in these passages that Yahushua is revealing some ‘new’ information as to the prophetic meaning of the Passover bread, and of the Passover cup. Here we see Yahushua tells us ‘this’ (the Passover bread) is His flesh, which is given for us, and that we are to eat it in remembrance of Him, but specifically in remembrance of His death, according to the apostle Paul. Then Yahushua tells us the Blood of Passover is His Blood, which He would shortly thereafter shed at His crucifixion. He then tells us His Blood is the Blood of the New Covenant — of which covenant we are also told is the ‘Torah’ written on the heart of the Believers (Jer 31:31-33). Thus Yahushua revealed the prophetic meaning of Passover, and the ‘new’ understanding His Disciples are to have when they eat the Passover meal. There are many today who have thought that this meal was not a Passover meal, but perhaps a ‘demonstration’ meal or ‘graduation’ meal given by the teacher for his students. This idea has arisen out of two misunderstandings. The first is the thought that there are inconsistencies in Scripture, between the Gospel records and the historical accounts seen in the Tanak. 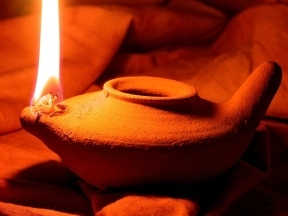 The seond is the fact that by tradition, the Passover meal is eaten not in the prescribed night of the 14th, but in the following night of the 15th. It is tempting to look in Torah for an easy solution. We are reminded, however, that these things are hidden in order for Yahushua’s Disciples to find. We will find them when we, as His Disciples, hold His Words and examples as supreme over all other understanding. The result is that many will miss seeing Yahushua’s Words, and His example for them; and thus will overlook some of the specific Passover requirements that are hidden within Torah, which must be sought out diligently until found. If the Passover Supper is indeed the Marriage Supper of the Lamb, as dicussed in The Marriage Supper of the Lamb, what should that tell us regarding those who will be in attendance at the Marriage Supper, and those who will not? Would it not be important for the Bride to be present at the Marriage Supper of the Lamb, on the same night as the Bridegroom? The Reader is encouraged to review this first article, to grasp the magnitude and importance of participating in Passover. As we look further at the Passover, let’s notice some of the words of the apostle Paul. 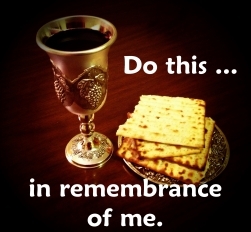 At the Feast of Passover, as detailed in Exodus 12:8, 13, we are to eat the Lamb, along with unleavened bread and bitter herbs, as a ‘memorial,’ and that the blood of the Lamb ‘saves’ our household . Here Paul is telling us that we too are to keep the Feast of Passover, and the Feast of Unleavened beginning the next day. In the above passage, Paul reminds us that when we eat and drink the Passover bread and cup, we show (“announce, declare, make known, proclaim”) the Master’s Death until He comes (arrives, appears). When we observe the Passover meal in remembrance of Yahushua as the Passover Lamb, we are proclaiming Yahushua’s sacrificial death. When Yahushua’s Disciples keep Passover on the prescribed day and time, they are proclaiming — and bearing witness — that it was Yahushua Messiah who was sent to become the Sacrificial Lamb that takes away the sin of the world! This is the ultimate witness that Yahushua is the Messiah! This is when our obedience to Torah reveals the living Messiah! In the next segment, we will see some further details of Passover in Torah, and will note some of the unique features of the Feast ordained for the 14th day of the first month, and compare these to the feast of the 15th day. Proceed to Passover: Which Day-Truth or Tradition? Part 5.